"Ho! Ho! Ho!! Merry Christmas", Angry Green Pig Santa Claus wishes all the Angry Birds & including yourself! If you know me well, I will definitely design Angry Birds Cake for each of the unique season. 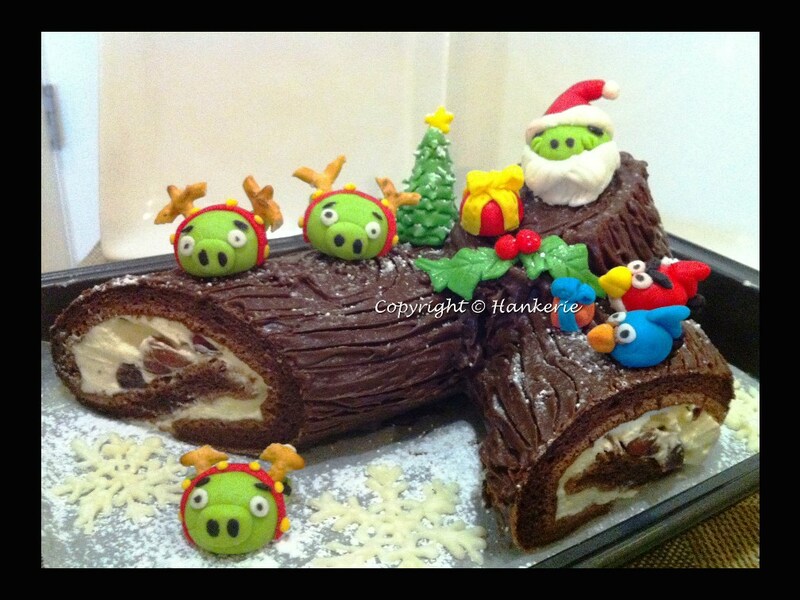 For this Xmas, I've spent 2 days to design, bake, made Angry Birds icing figures, assemble & decorate this Angry Birds Xmas Log Cake. It is called Bûche de Noël in French, one of many traditional cakes baked at Christmas which origins from France. 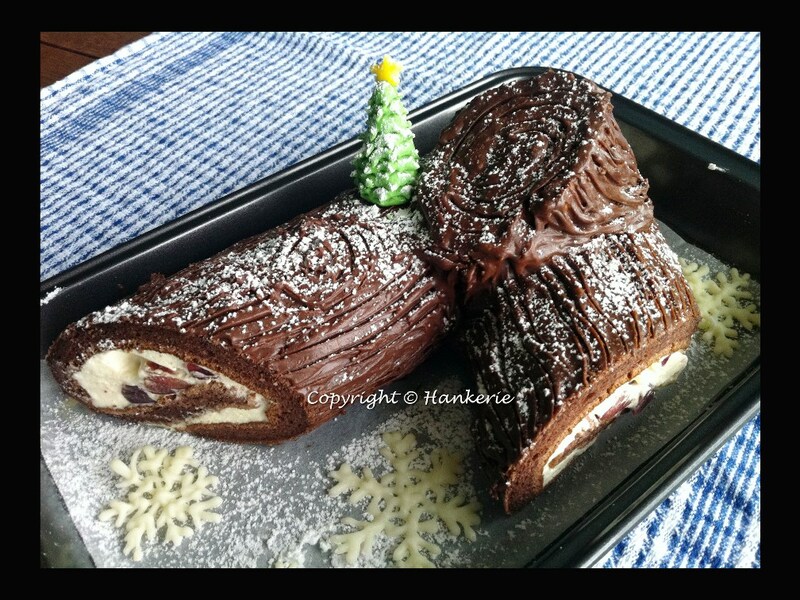 The name of this recipe literally translates as "Christmas log," referring to the traditional Yule log burned centuries past. The ingedients suggest the cake is most likely a 19th century creation. That's when thinly rolled sponge cakes filled with cream and covered with chocolate icing. 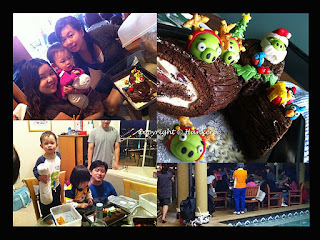 This Angry Birds Xmas Log Cake is baked for an exclusive order of Xmas Barbecue party at Brisbane (Australia) yesterday. There are 2 kids and more adults like Angry Birds crazily! The most classic moment was the Baby Lucas's expression when seeing the Angry Birds cake for the first time. It was exactly the same expressions with the Miri's orphans and the kids in the long house that I visited last time. Too bad, it only happened for a short while, not enough time to capture the video! 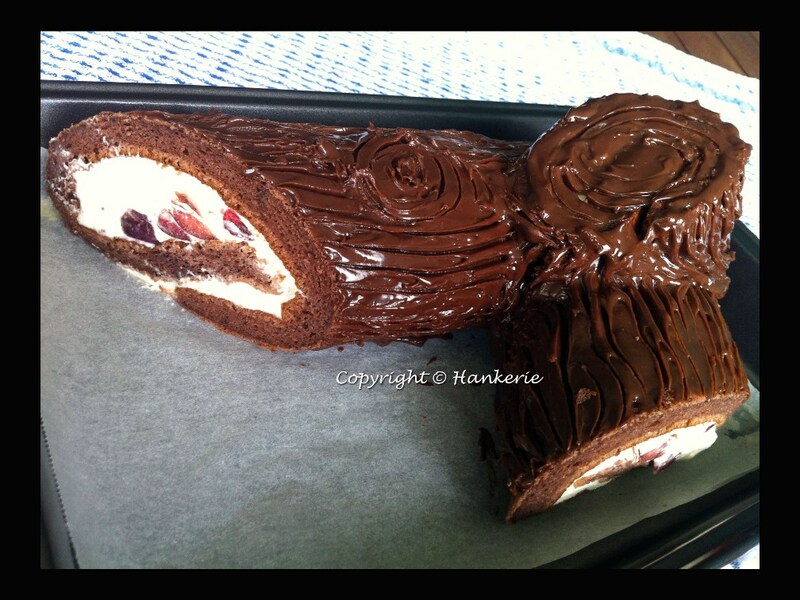 Step 1: Baked a chocolate swiss roll. If you're lazy, you may buy the ready made or frozen one. (chocolate flavour). Step 2: Cut the swiss roll diagonally represents branches (1 fairly small & 1 about 20% of the cakes). Step 3: Assemble them to represent the log wood. Step 4: Put on the chocolate icing/ganache on top of the swiss roll. I've used the combination of dark chocolate, white chocolate & milk chocolate ganache. Try to use the good brand of chocolate, you will taste the different. Step 5: Use knife to draw the line that resembles the log as picture below. Step 6: Make the Xmas tree from fondant icing and put on top of log cake. Step 8: Make all the Angry Birds, Angry Pigs with Santa Claus & Reindeer dress up. All set! Everybody enjoys the party, cakes & everything. 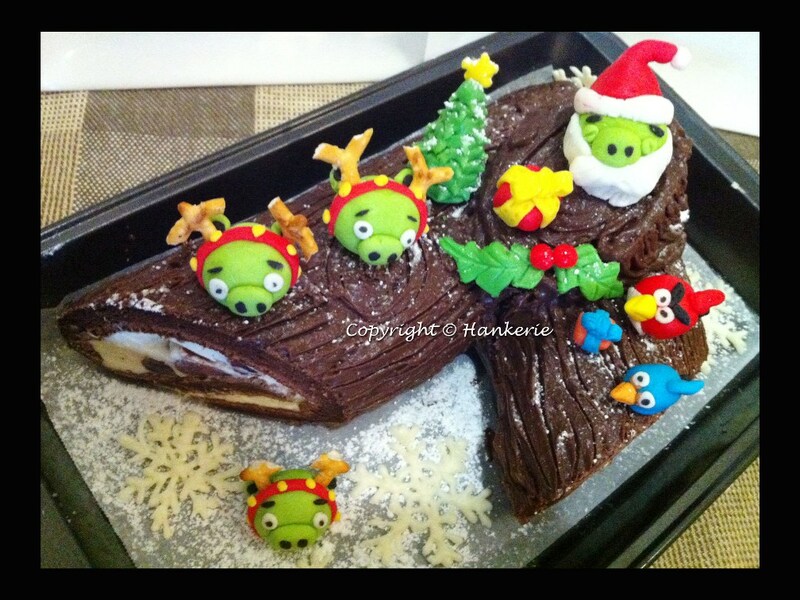 There goes my Angry Birds Xmas Log Cake, finished in few minutes but I've used 2 days to prepared!! This is just "unfair". Anyway, another of my Angry Birds' master piece. 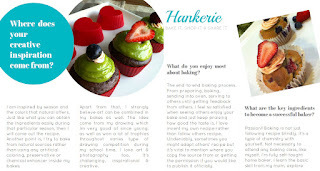 This is great way to involve kids into preparing cake and keep them busy. They'll gonna love it :) Thanx for the clever idea! @ Tasos Apartmani: Thanks for your compliments. 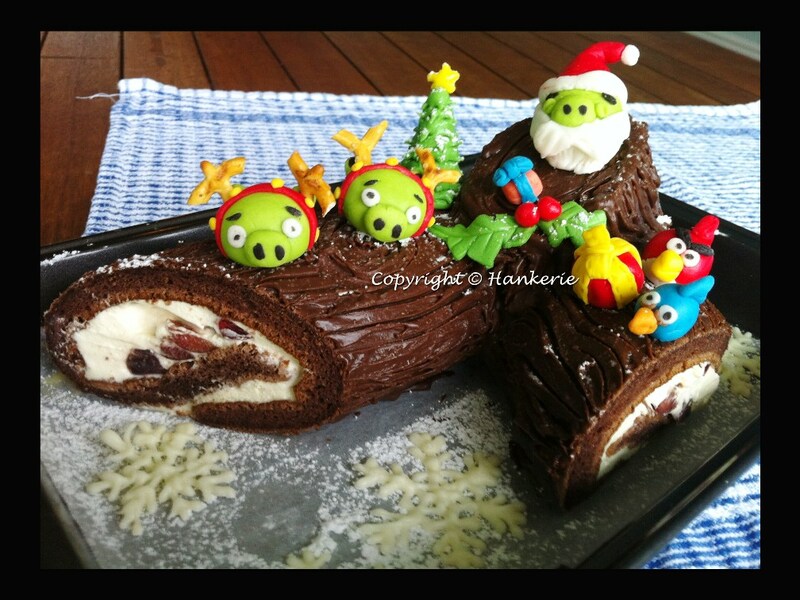 Awesome Angry Birds Yule Log cake. My favorite part of the cake is the green pigs dressed as Santa’s reindeers. @ Karen & Sweetsamesations: Thanks for your great compliments. 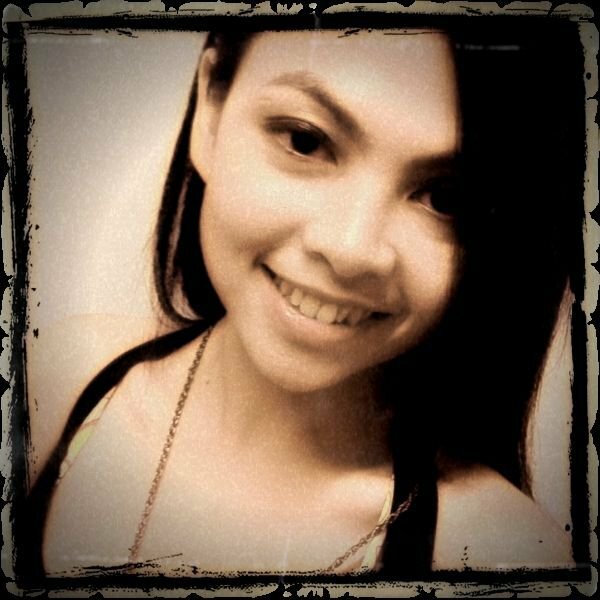 :) Love it. Cute cake. Just so you know someone is using your pic in facebook.